Ann checked out the local second hand sites for a guinea pig for Asia. They went to visit one. The owner said that it was more humane for a guinea pig to have a friend, so they got two. which is yet unnamed. But two of these are male and two are female, so they have to be in separate cages. So we need another cage. So Ann has responded to another posting. I hope she doesn’t come home with even more guinea pigs! Meanwhile Blackie is pretty sure that these new animals are his puppy offspring and is very nervously protective of them. A deer made a kamikaze attack on our 2006 Sienna, so the van is a write-off. Ann and the kids were en route to Calgary when this happened just past Kamloops. The deer died instantly but no one in the van was hurt. It was traumatic for our kids to see an animal die this way, but after some tears everyone was ok. Ann rented a Suburban to complete the trip. Yesterday, Ann and I went to Vancouver to secure a replacement van. Both we and our mechanic are fond of Siennas, so we bought a 2011 model. Being 5 years newer than the old one, we now have a backup camera, bluetooth and the things we broke on the old van aren’t broken yet on this one. You can tell by the tools in front that it isn’t perfect. The radio won’t pick up any stations. The shady looking service department had just replaced the broken antenna, so I need to check if they did it right. 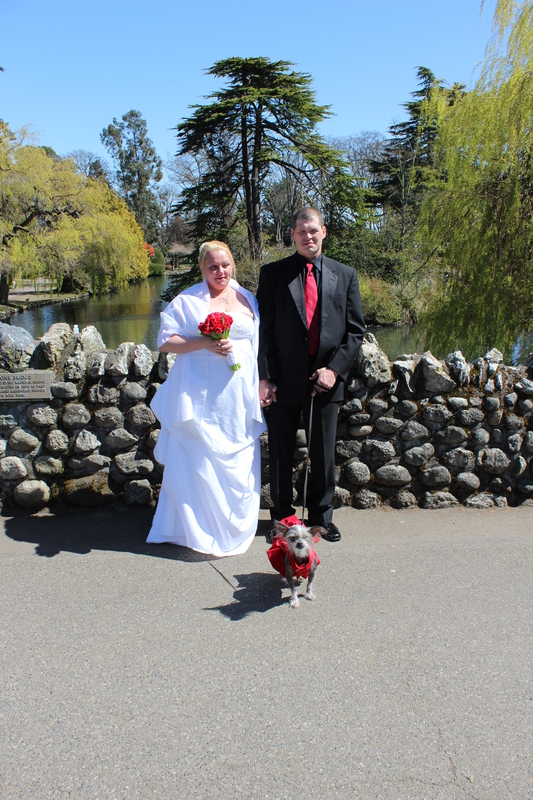 In October we hired a photographer and met him at Swan Lake. This time we took our mothers and our dog along. When we bought our house 12 years ago, it had a double garage. Right away, we carved one garage in half to make a bedroom for my mother. When she moved out, my sister moved in to that room. The other garage was halved a few years later when we had a bedroom built for one of our daughters. I suppose we could still park a smart car or a motorbike in the remains of the garages, but we used them for storage and a workbench. Now our daughter’s room is being demoted to a storage room and a spot for our freezer and we are filling in the rest of the garage with two bedrooms for our oldest girls. The carpenter and dry waller have taken care of the walls; the garage doors have been dismantled and sold and the space filled in with a wall and windows. I took on the electrical work. So I sent Ann off on numerous trips to buy wire, fixtures, receptacles, circuit breakers and what-not. I worked for an electrician for a month in my first job 30 years ago and I’ve put in a fair amount of outlets and lights over the years. But this was my first experience of doing the entire job! It’s challenging to drill the passage through 8 inches of studs with a bit just 4 inches long! And at first I put the circuit breakers for the electric heaters on the same phase which meant that they didn’t work. But eventually I figured everything out! Now the rooms are almost ready for paint and the flooring. Then I can wire up a light and some workbench outlets in our new shed under the deck and we’ll be all set! Chrissy looks fine and acts normally 99.9% of the time, but she is probably not going to live much longer. A few weeks ago, she started gagging at night. Normally, gagging is a sign that she has eaten something that she shouldn’t have and she is about to throw up. Then we throw her outside until she gets it over with. Then we interrogate the kids to find out who left food or candy out. Since it was close to Halloween, we thought she had gotten into some chocolate. But she didn’t throw up. And she continued to have gagging spells every hour of the night. When this went on a second night, Ann took her to the animal hospital. They diagnosed her as having an enlarged heart that was causing fluid to build up in her lungs. A diuretic quickly dried her out and stopped the gagging. But when the diuretic ran out, the gagging resumed with a vengeance. Now Chrissy was gasping for breath. After another trip to the hospital, she was put on two additional medications that strengthen her heart’s output. She has some minor gags occasionally, but seems fine. Her days of going on walks are over, so she is now a lapdog. She is still energetic and runs to get her food in the morning. She is about 9 1/2 years old. 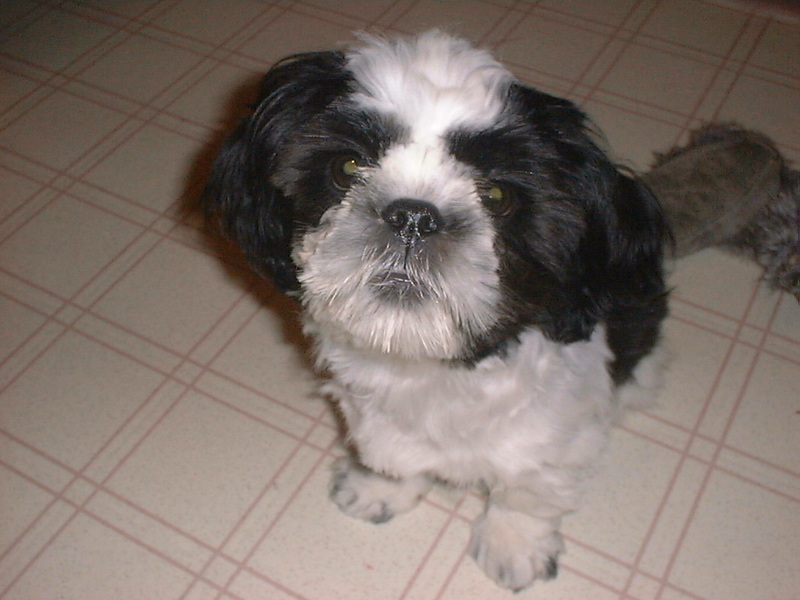 Shih-tzus can live to be 17, so this isn’t old. We will miss her when she goes and it is unlikely that we will get another dog. She has been a great companion and sleep-mate to me. We adopted three more girls this summer, so we now have seven girls! We considered getting a vanity plate “7 of 9”. 7 girls plus 2 parents makes 9! The four year old loves to go for rides on my neck. The 6 year old loves to play “Little Bugs” with me like Maria used to. Each of my hands is a little bug which likes to climb over her and tickle her. They’ve been very gentle with Chrissy the dog, so she gets along with them. One of them asked why Chrissy always hangs with me. She was told it was because I feed her. Then we found her bed filled with dog food! But Chrissy continues to sleep in my bed, so we had to come up with a better answer! I shot my first wedding last weekend. My co-worker asked me half a year ago to take pictures for her. It was an outdoor wedding and the weather was perfect. I didn’t have to worry about screwing up because two other people took pictures too. But I shot the most and was the primary photographer. I borrowed my sister’s DSLR and tripod, then pored through the manual to learn how to use the thing. The camera wouldn’t go to menus the manual promised were there. Also, the display only showed settings; I couldn’t use it as a viewfinder. After two days of bashing my head against the wall trying to set up the camera, I was frustrated. It was the morning of the wedding, and I could only get the camera to work in a very basic automatic mode. I hit the manual one more time and found out how to reset the camera to factory settings. This worked! Now I could set it to shoot continuously, and the display finally worked normally. I shot 351 pictures and used 2.5 gigs of memory. I deleted 40 blurry or poorly framed pictures and burned the rest to a DVD. I figure that about 20 pictures were very good, but a lot of the rest was ok. My friend was happy with the results, and I got good feedback about the 3 or 4 pictures I uploaded to facebook. If I’d had a couple of remote flashes with diffusers (those white umbrellas), and had been willing to mess around with RAW formatting and GIMP, the results would have been perfect! albertstadt on I made the TV News!